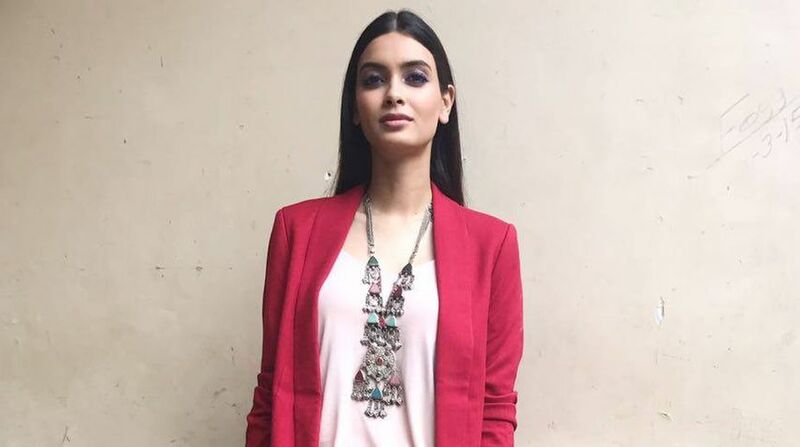 Actress Diana Penty, who will be next seen in Lucknow Central, believes that exploration is the best way to seize opportunities and wants to work in every possible genre of cinema. In an interview to thestatesman.com, Diana shares about the exploration of self in her journey in Bollywood, her preparation of the role of a NGO worker in Lucknow Central, the experience of working with powerhouse actors and her opinion on women empowerment in the Indian film industry. The Cocktail actress had no clue about her character but accepted the role instantly because of the intriguing plot. “I play a NGO character, Gayatri Kashyap, in the film. She believes in second chances and reformation. For her opportunities don’t knock on door but you have to grab it and she is very keen to organise a music concert in the jail, where inmates will form a band,” Diana reveals. Dabbling with film making in Bollywood for the first time, director Ranjit Tiwari, skillfully crafted the character of Gayatri Kashyap. “I have never played an optimistic and passionate role like Gayatri Kashyap. I had no clue about what my character was going to be when I first met Nikhil Advani as he narrated me just a one liner and asked me to meet Ranjit the next day. So, when I met him I decided that this is the film I should do,” the actress adds. Most of Diana’s preparation for the character was based on the director’s thoughts. “Honestly I wasn’t much informed about my character, jails and laws. Most of my research was actually Ranjit’s research. He created my character from a scratch, we had discussions about what we can add to the character. Of course there was some part that I did on my own by reading a lot about NGO workers and prison reforms. But most importantly my research was actually based on Ranjit’s thoughts,” the actress says. One of the other reasons for the actress to accept the film was because of all the talented powerhouse actors she’ll be working with! “I had to say yes! Look at the star cast, an absolute bunch of great talented actors, from Farhan Akhtar, Deepak Dobriyal, Gippy Grewal to Ronit Roy. All these actors are without any doubt the powerhouse actors of the industry. I grabbed the opportunity but I was a bit nervous to work along these fine actors as I was afraid whether I’ll be able to pace up to their level!” Diana says. Gayatri Kashyap aka Diana thinks it’s best to explore yourself and not just restrict to just one genre. “I don’t want to be typecasted as an actress of a certain genre. I want to work in every possible genre that I can justify. All my roles so far are different from each other. Even in my next film Parmanu, you’ll see me doing some action sequences something which I haven’t done in my career!” Diana adds. According to the actress, people misinterpret content and think it otherwise. “People misinterpret content as Art films, independent film or offbeat films or even commercial films. What I mean here by content is the good storyline! Films which are realistic, that are relatable with a good story line. That is something I would say a film should offer in terms of content,” the actress explains about the changes in the industry. Diana also spoke about women in the Industry and is happy about the industry’s direction for women. “Definitely! the industry is going through many changes and one of them being giving equal importance to women in a male-dominated world. Women-centric films are appreciated by the fans and the critics as well, It’s a great time to be a part of the industry. I’m very happy about it,” the actress adds. Lucknow Central is directed by debutante Ranjit Tiwari and will release on September 15.